Four-division champion Adrien Broner will battle former welterweight world champion Jessie Vargas in the 12-round main event of a SHOWTIME tripleheader on Saturday, April 21 in an event presented by Premier Boxing Champions from Barclays Center, the home of BROOKLYN BOXING™. Former champion Omar Figueroa suffered a shoulder injury in training that forced him to withdraw from his previously scheduled showdown against Broner. Undefeated former world champion Jermall Charlo clashes with once-beaten Hugo Centeno, Jr. for the interim 160-pound world title in the SHOWTIME CHAMPIONSHIP BOXING co-feature. Also featured on the telecast, which begins at 9 p.m. ET/6 p.m. PT, are former champions Gervonta “Tank” Davis and Jesus Cuellar as they square off for the WBA 130-pound Super World Championship. Tickets for the live event, which is promoted by Mayweather Promotions, DiBella Entertainment and TGB Promotions, start at at $50, go on sale Wednesday, March 7 at 10 a.m. ET, and can be purchased at ticketmaster.com, barclayscenter.com or by calling 800-745-3000. Tickets can also be purchased at the American Express Box Office at Barclays Center starting Thursday, March 8 at noon. Group discounts are available by calling 844-BKLYN-GP. 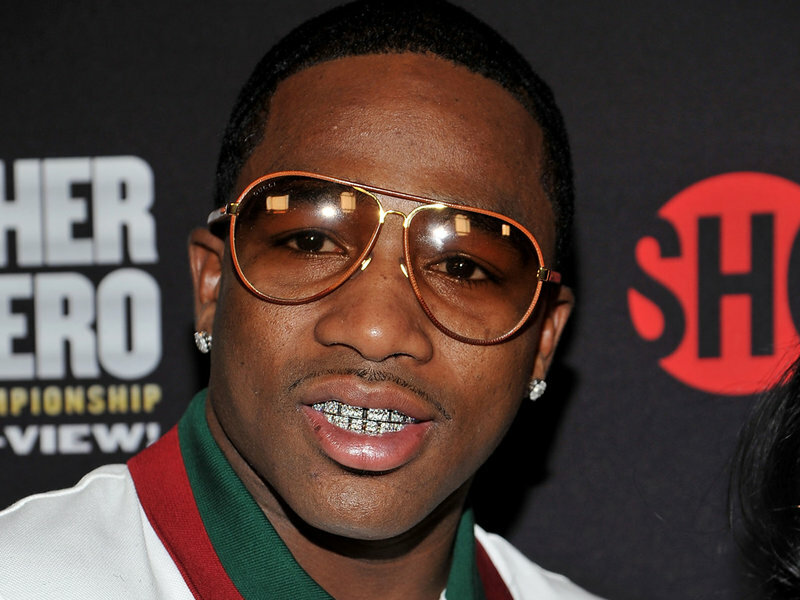 Broner (33-3, 24 KOs) is one of the most gifted boxers in the sport, having won world titles in four different weight classes by the age of 28. The Cincinnati, Ohio native has won championships at 126, 130, 135 and 140 pounds while facing top competition across the various divisions. In his last fight, Broner lost a unanimous decision to Mikey Garcia on July 29 at Barclays Center after previously defeating Adrian Granados earlier last year. Vargas (28-2, 10 KOs), a 28-year-old former welterweight champion who was born in Los Angeles and now lives in Las Vegas, is always up for a challenge. His only two losses have come in welterweight title matches against pound-for-pound greats. He lost a controversial fight to Timothy Bradley, Jr. and dropped a unanimous decision Manny Pacquiao in a world title defense. Vargas won the welterweight title with a TKO victory over Sadam Ali in 2016 prior to the Pacquiao fight. Vargas is coming off a unanimous decision victory over Aaron Herrera in December as he works toward another world title opportunity. Charlo (26-0, 20 KOs) won his super welterweight title with a dominant knockout of Cornelius Bundrage in 2015 and eventually achieved the distinction of holding a world title in the same weight class (154 pounds) as his twin brother after Jermell won a title in 2016. After successfully defending his 154-pound title three times, Charlo of Houston, Texas, made the move to 160 pounds with the goal of becoming a d-division world champion. In his debut at 160-pounds, the 27-year-old scored a TKO victory over Jorge Sebastian Heiland at Barclays Center on July 29. Charlo vs. Centeno was originally scheduled for March 3 before being rescheduled due to a rib injury suffered by Centeno. The 26-year-old Centeno (26-1, 14 KOs) caught everyone’s attention when he scored a stunning knockout of Immanuwel Aleem in his last fight on Aug. 25. It was enough to springboard Centeno into middleweight title contention. Centeno of Oxnard, Calif., successfully rebounded from a tough TKO loss to Maciej Sulecki on June 18, 2016 with a victory over Ronald Montes before his match against Aleem. Centeno expects to be 100 percent healed and ready for the challenge by fight night. Davis (19-0, 18 KOs) is a proof that dynamite can come in a 130-pound package. The 23-year-old, of Baltimore, fought three times last year and ended all of his fights by stoppage. He won the 130-pound world title with a TKO victory over Jose Pedraza in a star-making performance at Barclays Center on Jan. 14, 2017. He traveled to London for his first title defense and stopped Liam Walsh by TKO on his home turf to retain the title on May 21, and most recently scored a knockout victory over Francisco Fonseca on Aug. 26 on the Mayweather vs. McGregor PPV undercard. Davis look to recapture a title in the 130-pound division after failing to make weight prior to the Fonseca fight. Cuellar (28-2, 21 KOs) is seeking to win a world title in a second weight class when he takes on Davis. A native of Buenos Aires, Argentina, the 31-year-old Cuellar won a featherweight world title with a TKO victory against Vic Darchinyan on June 6, 2015. Six months later he made a successful defense by winning a unanimous decision against Jonathan Oquendo before losing the belt to Abner Mares by split decision on December 10, 2016.